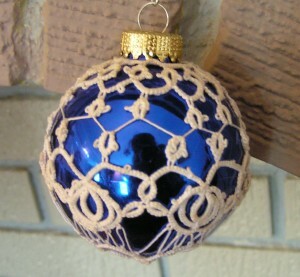 This is one of my first attempts at tatting ornament covers. This one didn’t take all that long. 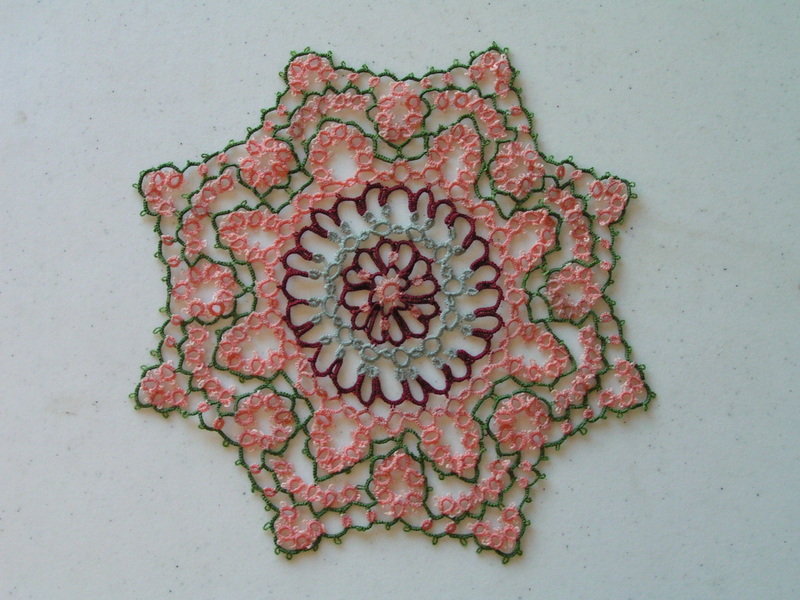 It is an adaptation of 2 ornaments found on line.